Discussion in 'Model X' started by scottf200, Nov 19, 2015. 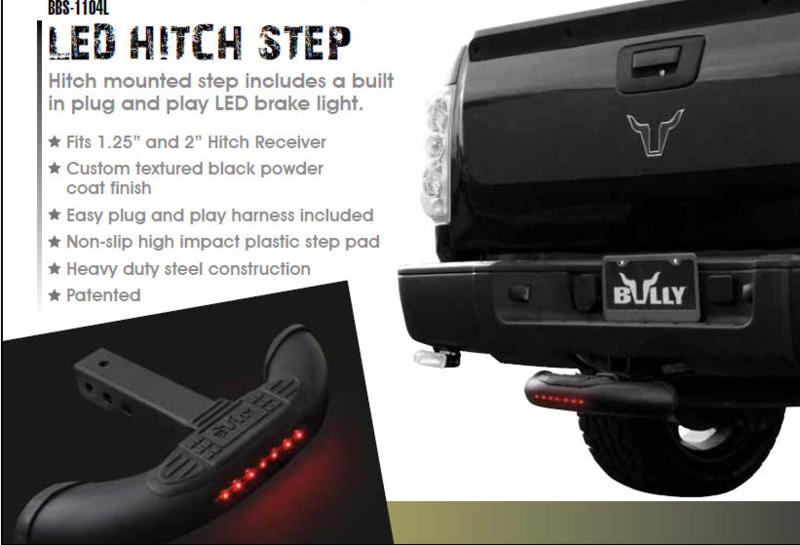 Does anyone currently use or are planning on using a hitched mounted extra "bumper" with/without extra brake light. a) Thinking about extra brake light useful and b) limit/stop damage from minor stoplight rear ended situation. I do admit, after seeing your post, I thought about buying one for my current hitch and possibly transfer to the Model-X. However, I think this would be one of those purchases that you would find useless after a certain while. I can't think of a use-case where it would be useful to stand on the hitch (it's not like you're going to be carrying much on the roof). Also, those LED lights don't look too bright, so I doubt they'll be noticed. Maybe if both your tail-lights are out, they could come in handy. On a boxy, tough pick-up truck, it could look okay, but on a rounded, sleek Model-X, I don't think it would look that good. I may change my mind if I could see one installed on a Model-X, but mentally imagining it on a Model-X seems to clash with the design. It might be nice to have but I don't know if it would actually help drivers behind you that much. If they can't see your taillights or third brake light, I don't know how having another light placed even lower would be 'more' visible. Plus it would stick out past the bumper so it could actually lead to more accidents/damage if the driver behind you tries to get too close or if parallel parking spots are tight. The brake light was only on one example. Other examples are for being rear ended. 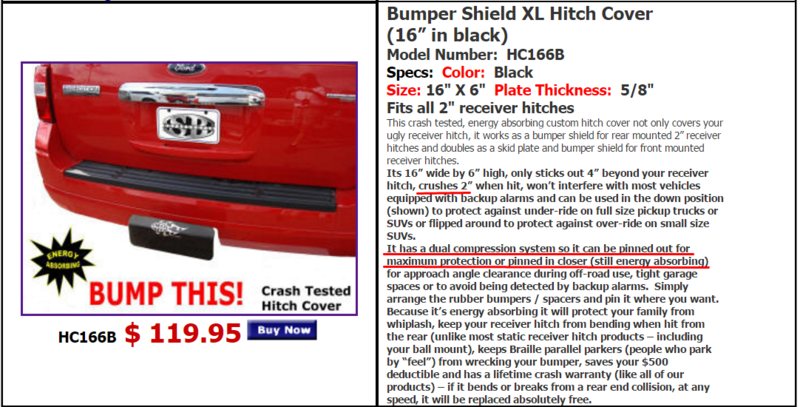 Do you really want someone to bend your hitch mount just to protect your car from minor bumps. 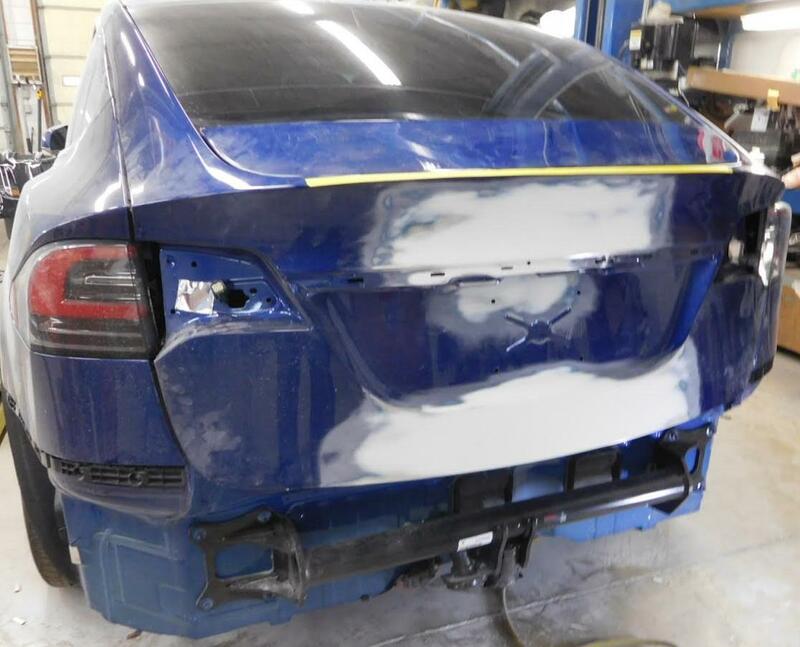 I think this little extra bumper will not be visible to other drivers and will be bumped often when trying to park behind your car. That hitch bumper is connected more or less directly to the MX frame. The bumper has shock-absorbers and loads of stuff to avoid damaging the important stuff. I would say this seems like an exceedingly bad idea. So virtually the same if they just hit your hitch with their solid bumper. Even the base Model X comes with a hitch. This reminds me of the cute hitch light I bought for my F150 many years ago. It work great until the first winter season when I backed into a snowbank and broke the thing. I drove 2 years with that broken hitch light before I finally got around to unplugging it and throwing it away. Maybe I'm a slow learner, but I'm still considering the hitch step/light for the Model-X. At Least the LEDs look like they're recessed and somewhat protected. I'll wait till I get the X before making any final decisions. I'm still concerned that it won't look right with the shape/stylings of the Model-X. Some of them compress. One of my original links. Again what if they hit the hitch with their bumper tho that even comes on the base model without the tow package. That is connected to the frame. The sites I originally pointed to also had this option that looks more like a cover. 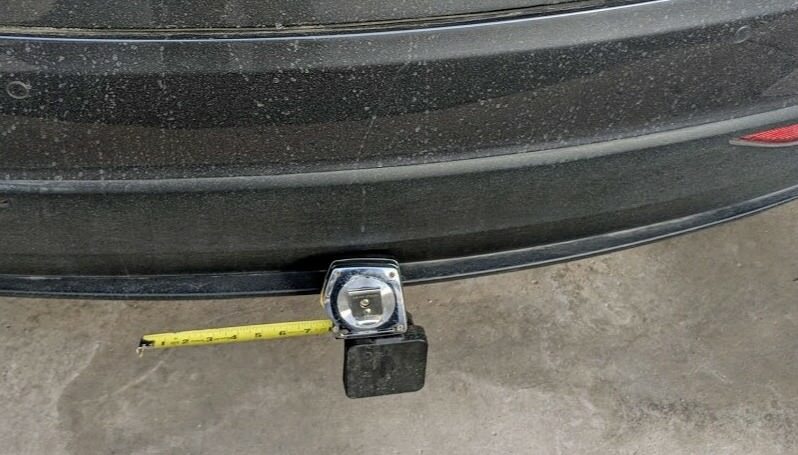 Unless someone doesn't get the accessory hitch (optional) then they will have a hitch attached to the frame so if you get rear-ended your hitch attached to your frame will likely get hit anyway. Hitch cover below can be rotated 180 degrees according to the description (tall vs mid height truck/SUVs reasoning). 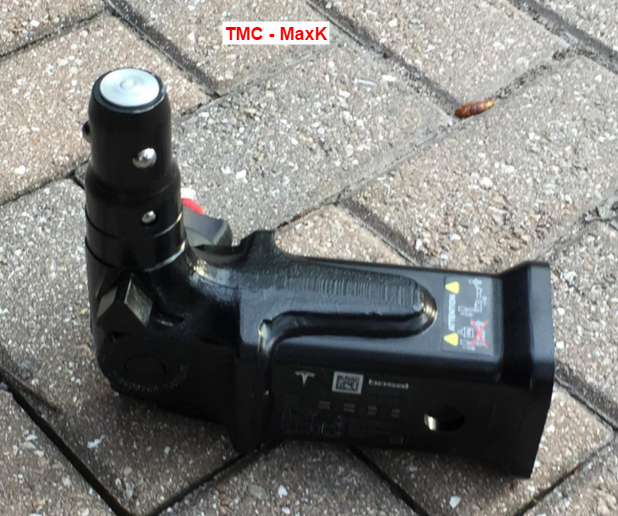 Actually the hitch receiver that is part of the towing package is a removable piece that is only attached when you need to tow. See some of the delivery threads for photos. Kind of wished I had one of these things above then I may not have had to visit the auto body shop! Hit was not very hard and hatch is really only part that got dented. Bumper did get bent in and bounced back but reflectors were broke. Thought some may like to see the underside of the bumper in this picture. Not sure if the hitch would have been damaged based on the bump/jolt I had. I guess if it did that damage it could have been more expensive. Below was ~$3500 not including the redo of the Opti-Coat Pro+ that will be done in a month or so. What are the odds that, you, who started this discussion on having an extra bumper would actually end up getting rear ended so soon. Thanks. The odds are worse because within a week of that happening I was at an automatic car wash (curtain ribbon wash for roof) with our '11 Volt reaching to pay the machine ... when I got jolted. The guy right behind me was goofing on his phone and his foot slipped off his brake. The hexagon screw had left a nice impression into my bumper. I have a new dark grey X now after my 2017 deer incident. I was prompted to consider this hitch add on for the umpteen time. I bought it and think it will blend into my X just fine. Hi @scottf200, Can you please post some pics with this installed on your X? There are 3 depths (holes) it can go in but based on the Tesla hitch it will only go in far enough for the 2nd (middle) hole. In theory, I could cut it shorter. My locking pin is chrome (from my old camper and Ford Exped days) AND I haven't black zip tied the wiring down as I was testing. I had to get a 7pin-to-4pin adapter. Only 4 of the 7 LEDs are lite up so I don't know who to blame yet. The hitch was put on by Tesla after the sale (a), the adapter (b), or the hitch step (c). Anyhow, I'm fine with it on my dark grey car but it would have stood out perhaps too much for me on my blue one. UPDATE: I decided to return it and likely will get the other one. Sort of wondering whether I'd like this one better now but I was thinking I would like the added brake lights. I'm shipping the other one back tomorrow and have just ordered the one above instead. It looks better as well but when you live in NY City people want the biggest thing you make. If you purchase one and it doesn’t work you can send it back for a full refund.